SANRAL is contributing towards creating a safe road transport network, while extending opportunities for black-owned enterprises to participate in construction projects. Nontobeko Mathenjwa (SANRAL), Madoda Mthembu (SANRAL), Melba Geca (SANRAL), Cllr Kenneth Mkhonto (City of Mbombela), Cllr Nkumba (City of Mbombela), Khulile Ngombane (TRAC), Wimpie Janse van Rensburg (TRAC). The South African National Roads Agency SOC Limited (SANRAL) is driving the transformation of the construction industry by creating opportunities for smaller businesses and entrepreneurs. This was the message conveyed by Madoda Mthembu, the Northern Region Routine Road Maintenance (RRM) Manager for SANRAL when he addressed leaders in local government, community members and business in Mbombela during a ‘Taking SANRAL to the People’ event. “We want to make space for the small guy in business. We are transforming the construction industry one kilometre at a time through the greater involvement of black-owned SMMEs in road construction, maintenance, services and supply chains,” Mthembu said. The gathering held at the Mbombela Stadium, focused on current and upcoming SANRAL road construction projects opportunities in the area. A comprehensive view of the roads agency’s operations was presented, with a special focus on its Transformation Policy. This policy sets clearly defined targets for a procurement approach which aims to commit a sizeable value of contracts to suitably qualified black-, youth- and women-owned enterprises. During the 2017/2018 financial year, SANRAL implemented contracts worth R15.3bn nationally. SMME’s earned a total of R3.8bn through the road’s agency and over R2bn went to 1079 black-owned businesses. 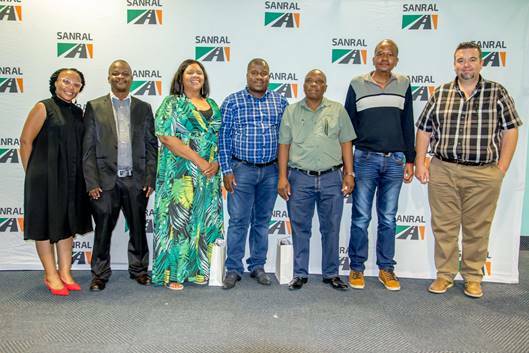 “Our message is simple: we are committed to engaging, consulting and partnering with our stakeholders to ensure that there is a positive impact on everyone affected by the work that we do,” said Progress Hlahla, SANRAL Northern Regional Manager. The Agency currently manages around 2 478 kilometres of road in Mpumalanga and has made a considerable impact on infrastructure development with various projects at different stages. One such project is the upgrade of a section of the N4 under the concessionaire Trans African Concessions (TRAC), between Crossroads and Montrose in the Lowveld. Several other construction and rehabilitation projects are ongoing, and others are soon to commence. SANRAL’s Stakeholder Coordinator in Mpumalanga, Melba Geca said: “For us, there is no question about the empowerment of locals. Although we are in the business of building roads, we have the mammoth task of building a better South Africa for everybody. That starts by earmarking opportunities for the small businesses and residents of communities in our jurisdiction”. An upcoming project in the City of Mbombela is the development of the Karino Interchange, located east of Mbombela in the Ehlanzeni District Municipality. This will entail the construction of a new interchange replacing the existing T-junction which links the road from White River to the N4 highway. The interchange will provide a safer way for traffic to be regulated and better access to the N4 highway. SANRAL is looking into the packaging of future projects in aid of the drive for better inclusion of exempted micro enterprises or qualifying small enterprises owned by black people, youth, women, people with disabilities living in rural areas, underdeveloped areas or townships and military veterans.